London is filled with perfect Instagram opportunities. Just take a look at my Instagram page and you’ll see I’m forever taking photos of the city. 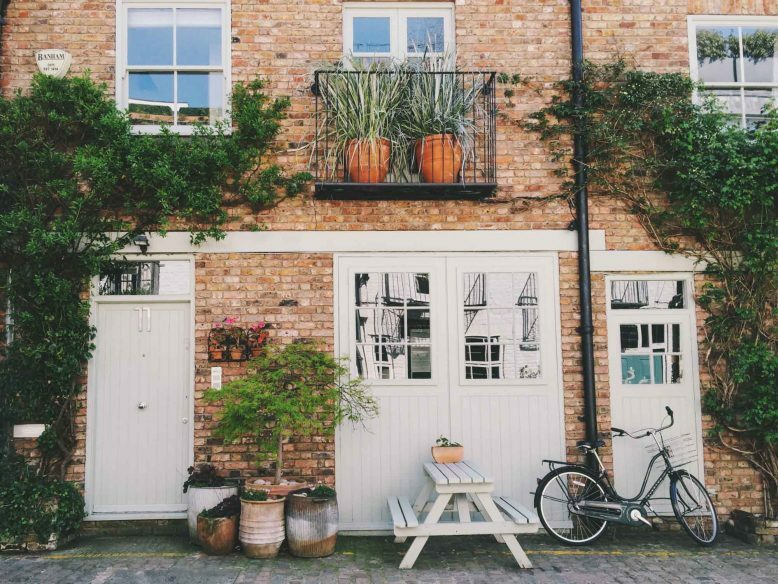 From pretty mews houses to grand architecture and world-class street art, there are so many beautiful things to capture. 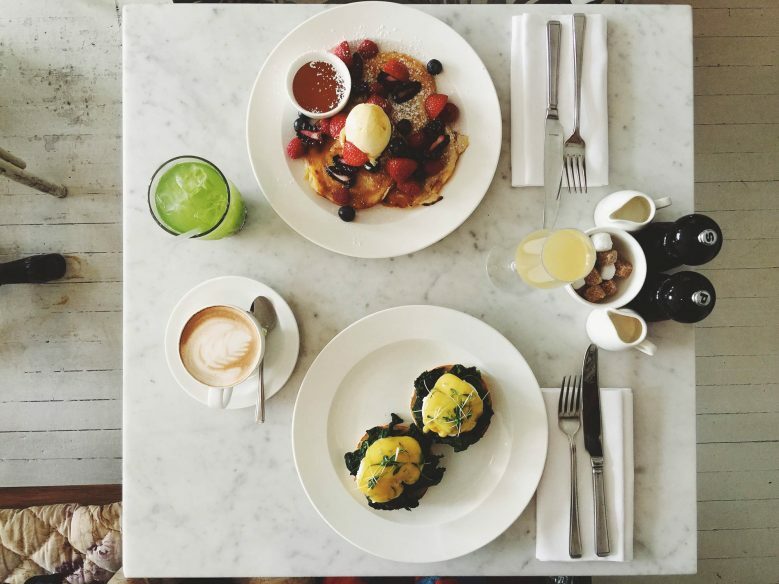 Our second episode of Victoria’s Insider Guide to London is all about the best places to Instagram in London. 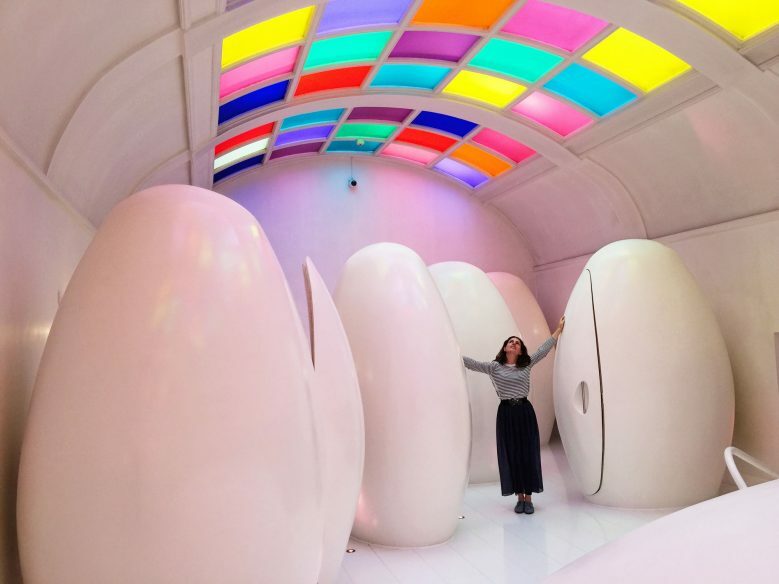 From where to find those popular colourful houses to discovering unique angles on the big landmarks, the video and this blog post is filled with tips about the most Instagrammable places in London. 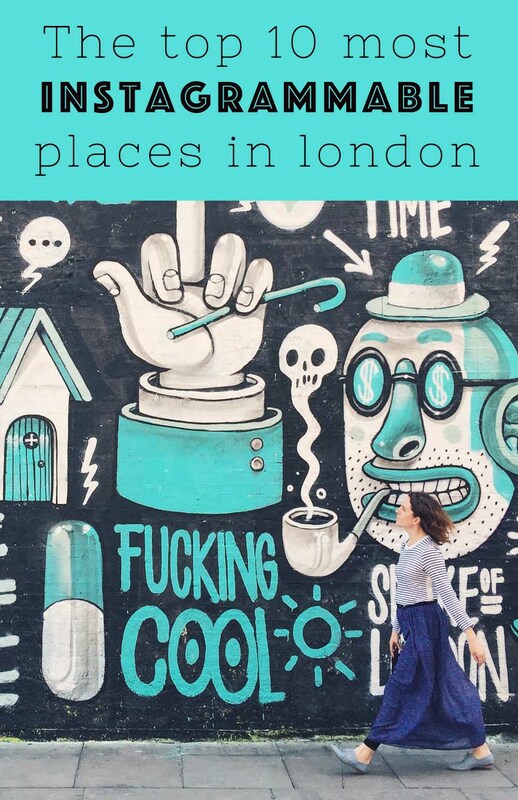 And for some ideas on where to stay in London, don’t miss my guide to London’s most hipster hotels. Enjoy your London Instagram tour. Tower Bridge is said to be the most Instagrammed sight in London, but I prefer Big Ben. 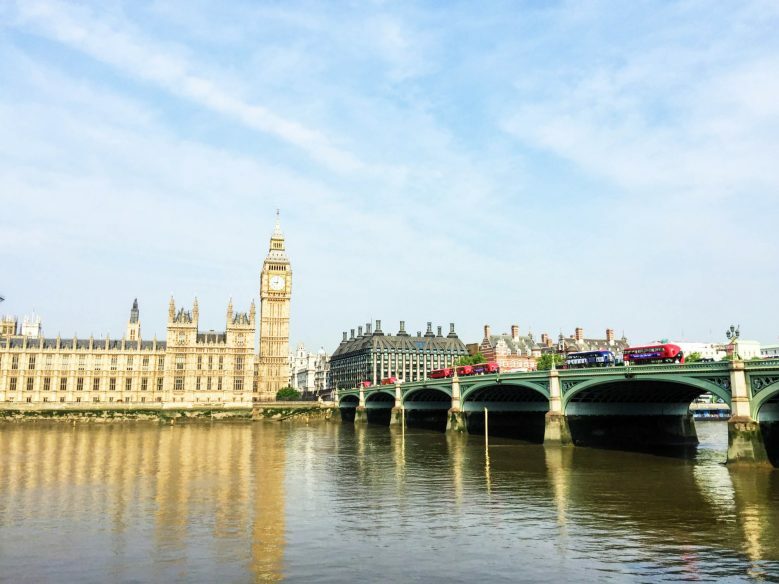 Every time I see the Houses of Parliament, I’m re-awed by their intricacy, and Big Ben is the star of the show, or more precisely the Elizabeth Tower (Big Ben is the nickname of the bell inside). 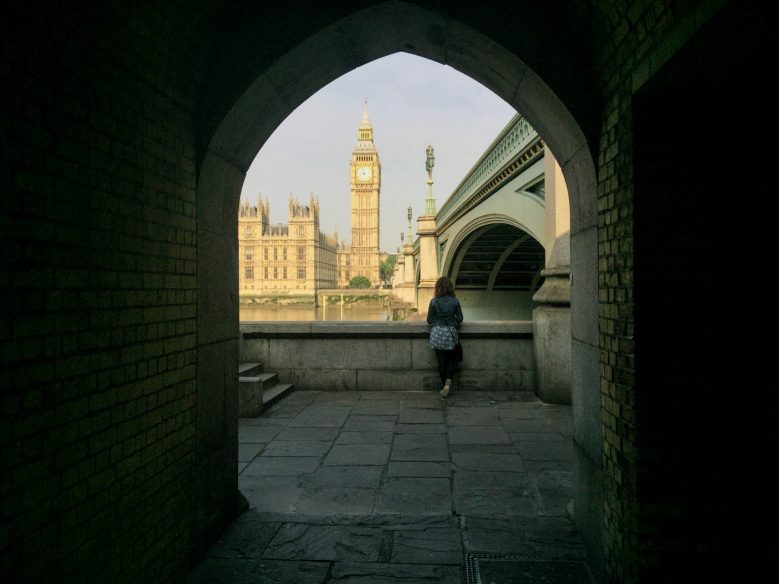 There are tons of great angles to capture the tower from, but one of my favourites is the view from the opposite side of the river, just beneath the arches of Westminster Bridge. It frames the tower perfectly. 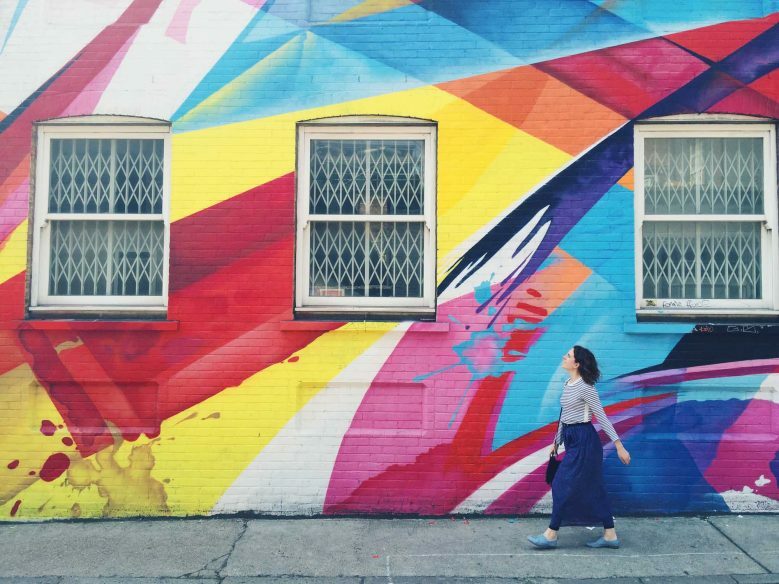 This is by far one of the most instagrammable spots in the city. 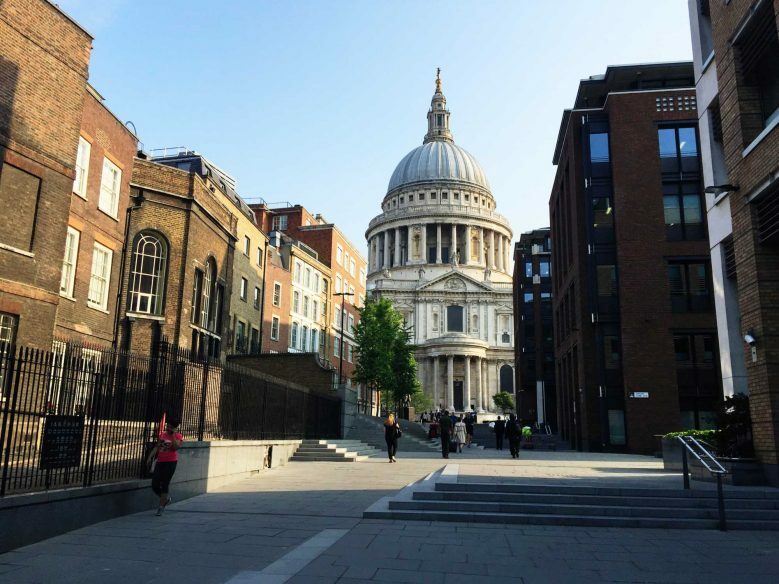 Another London Instagram favourite is St.Paul’s Cathedral. As with Big Ben, there are lots of angles to choose from, including the classic view from Millennium Bridge. 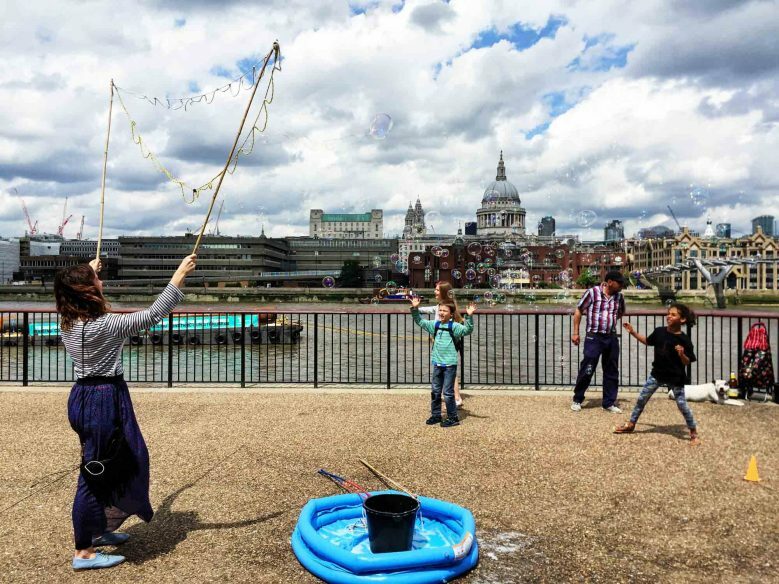 But one of the most fun photos can be found by stepping down from the bridge and walking along the South Bank a little to just outside the Tate Modern. 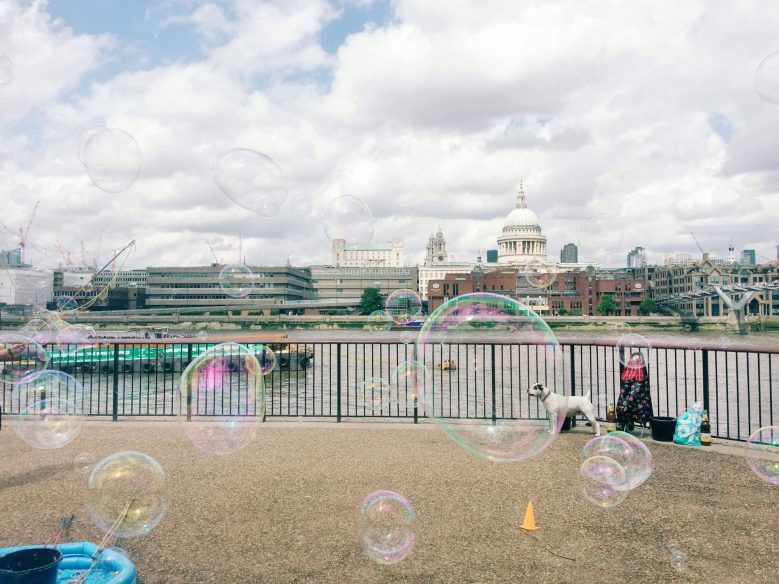 You can often find a man there who creates huge reams of bubbles that float perfectly in front of your shot. If it’s quiet, he may even let you have a go. 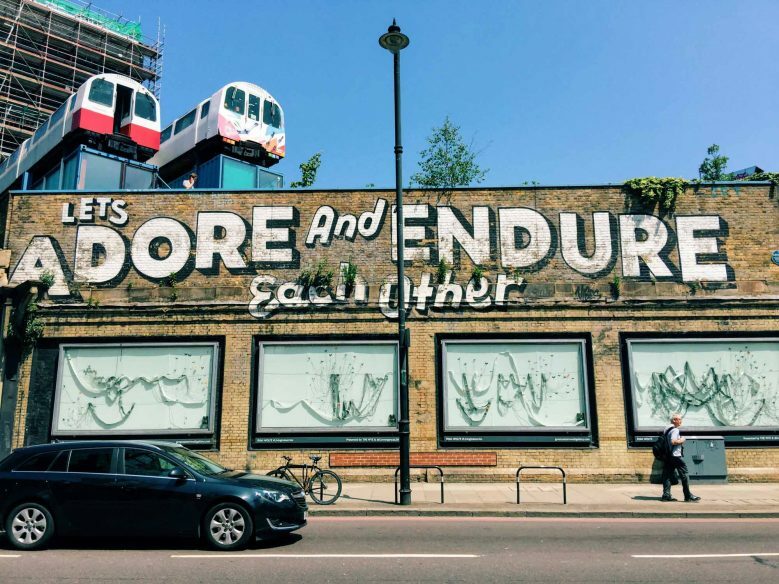 There’s street art all over London, but for a guaranteed selection of high-end art, head to Shoreditch, which is filled with both permanent installations and informal creations. 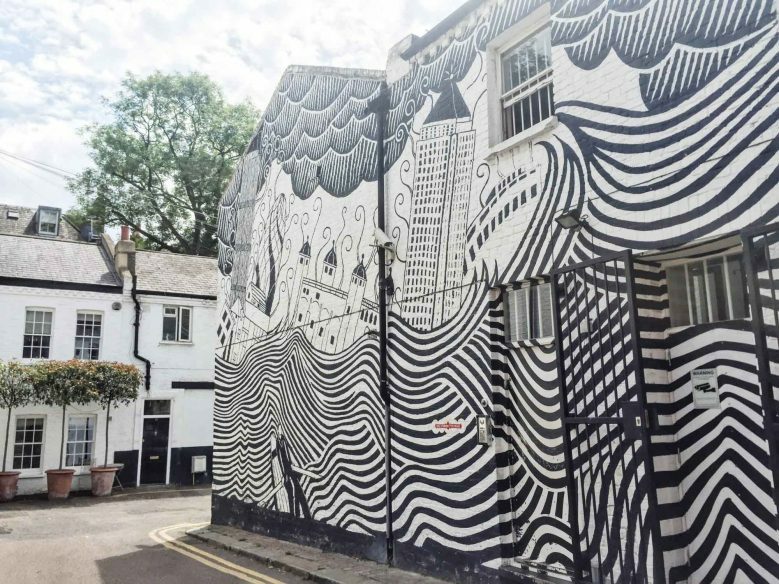 Some particularly good spots include the Shoreditch Art Wall along Great Eastern Street, Village Underground, Chance Street, and New Inn Yard. 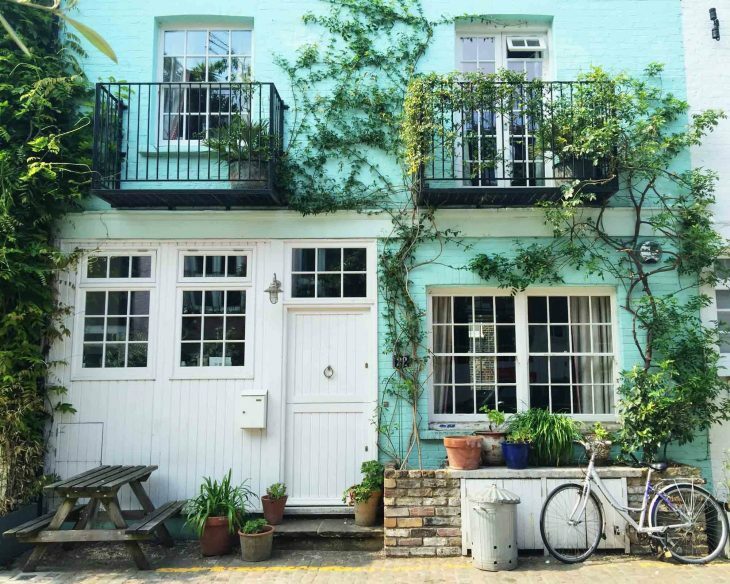 Take a look at the Pretty City London and Pretty Little London Instagram pages, and you’ll see just how many beautiful buildings there are in the city. 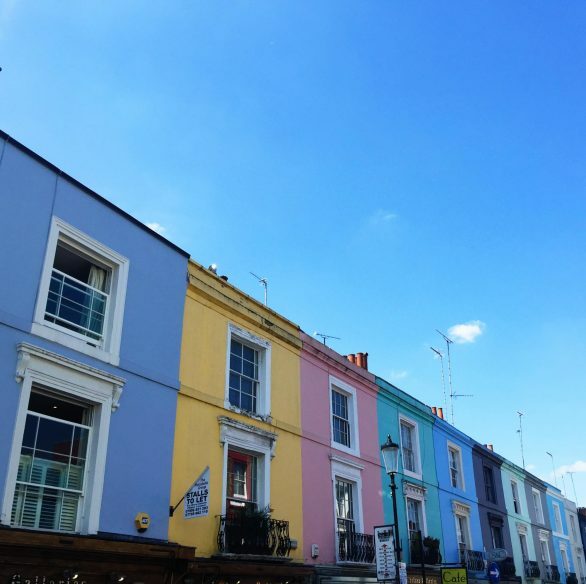 Although you can see these colourful houses all over the city, the main bulk are to be found in West London, around Notting Hill and Chelsea. 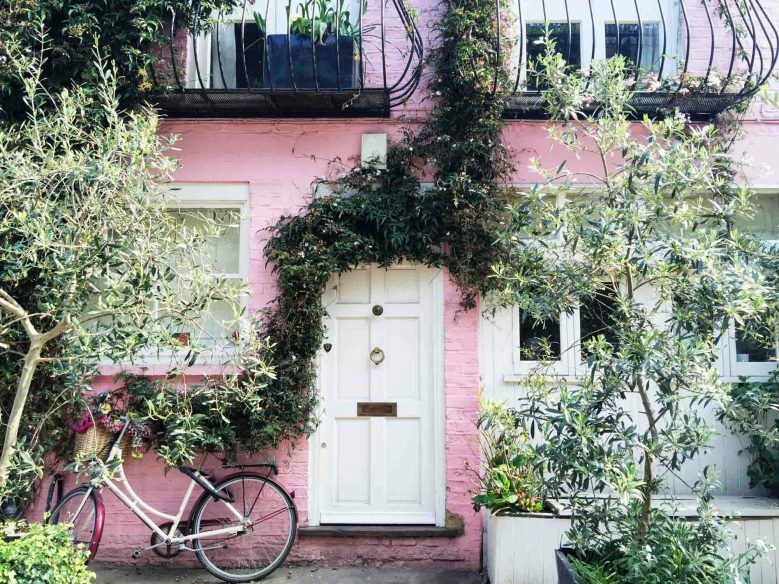 From rainbow-coloured terraces to cute, pastel-hued mews, there are photos around every corner. 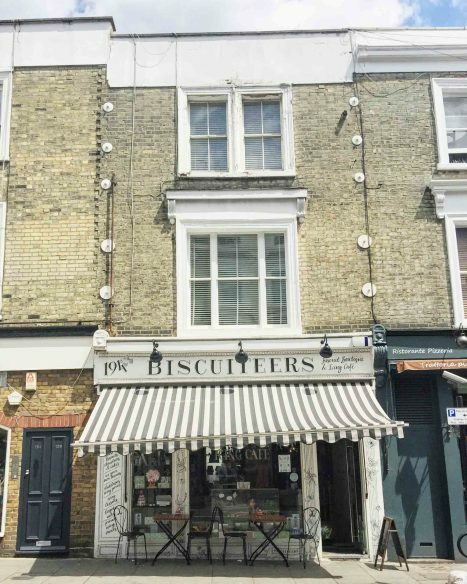 Some good places to start include St.Luke’s Mews, Lancaster Road and Kynance Mews. 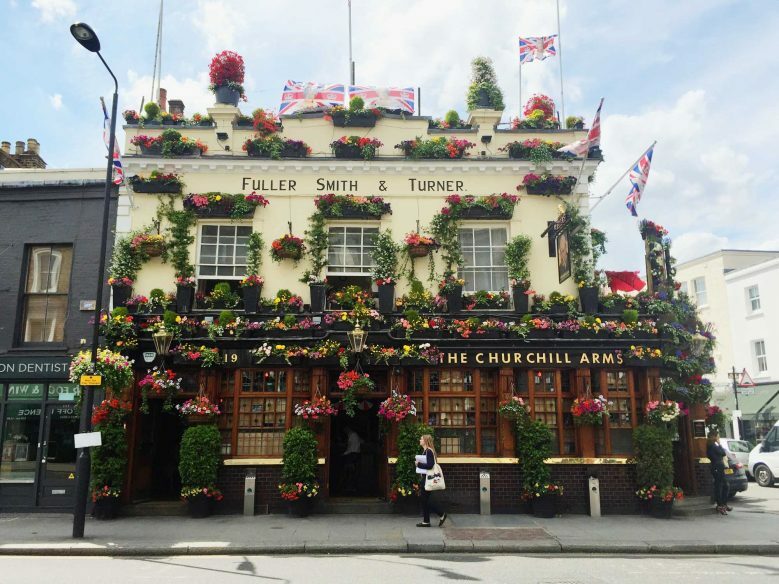 My photo of The Churchill Arms is one of my most popular posts on Instagram. During the summer months, this friendly pub becomes one enormous flower display, covered in hanging baskets and colourful planters. 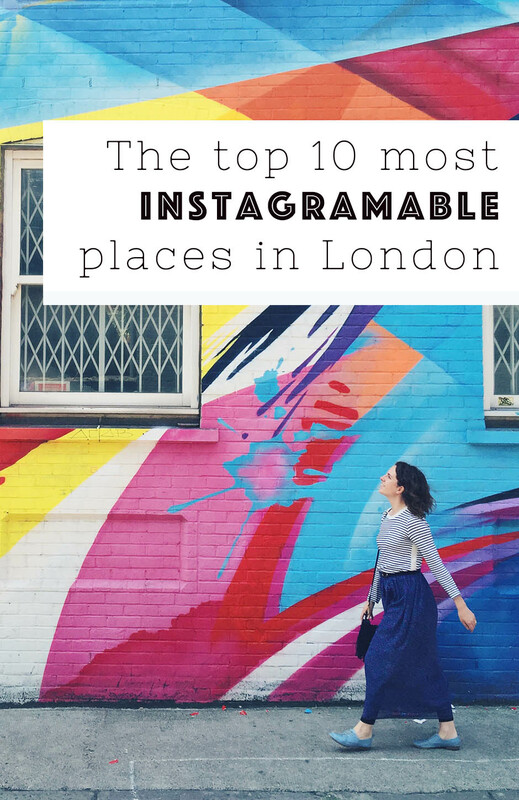 It’s perfect for Instagram and also a fun place to go for a drink, or some Thai food. 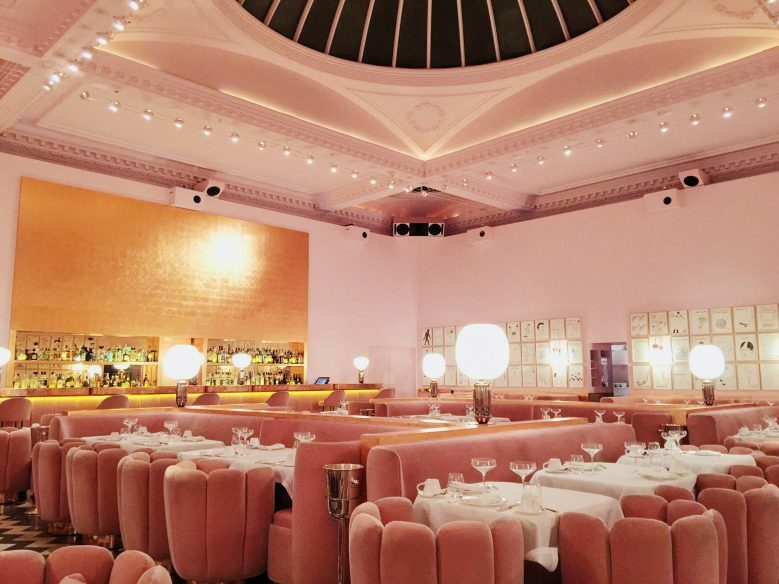 There are lots of beautiful restaurants to Instagram in London, but topping the list has to be Sketch. 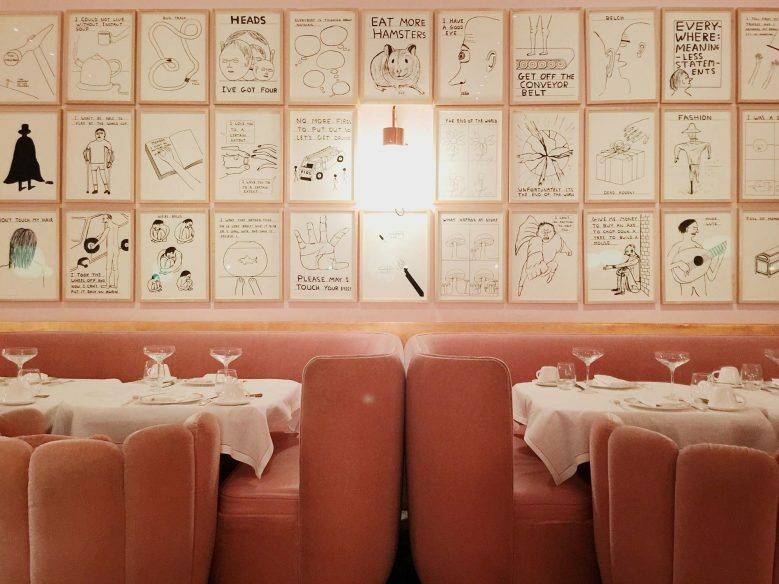 Each room has a different style, from the enchanting Glade with its Midsummer Nights Dream vibe, to the pink-tastic Gallery Restaurant that was designed by British artist, David Shrigley. 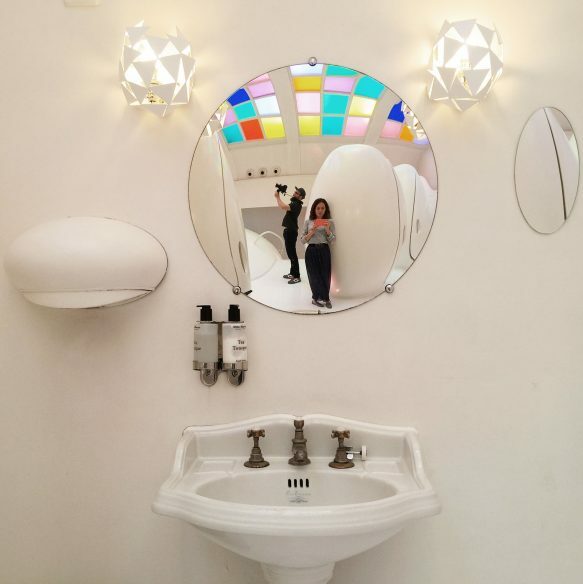 And be sure not to miss the space-age toilets, which are in little white pods beneath a disco ceiling. 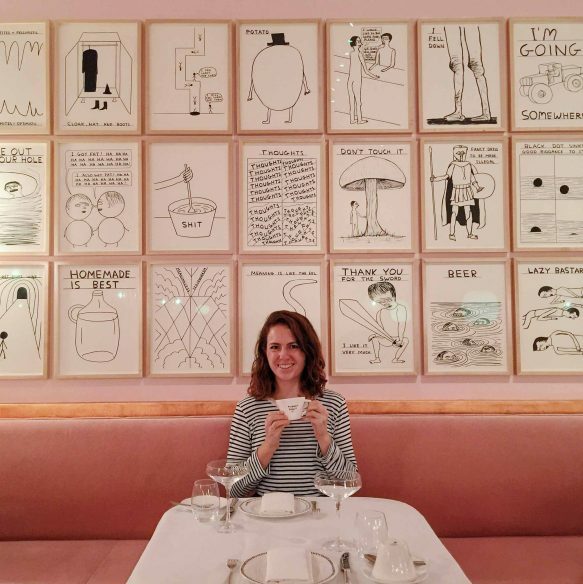 Sketch is also a great place to go for afternoon tea. 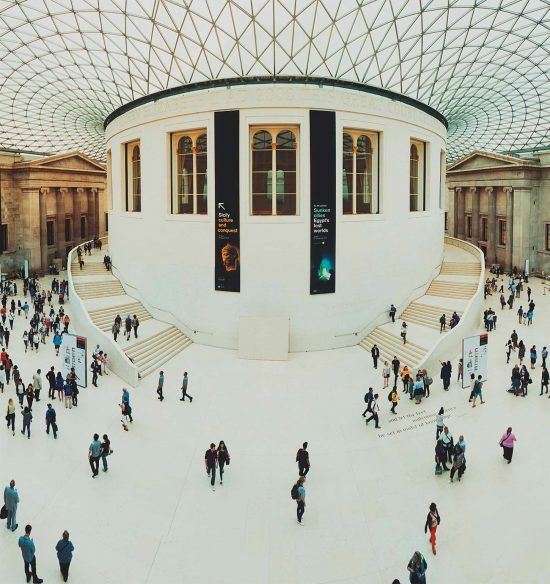 The British Museum is another of London’s most Instagrammed sights, especially its Great Court area. The domed glass ceiling is a stunning piece of architecture, and I often step inside just to take a peek. One of the best shots of the museum can be found by walking up the stairs to the gallery area where you get an expansive view of the courtyard and roof. 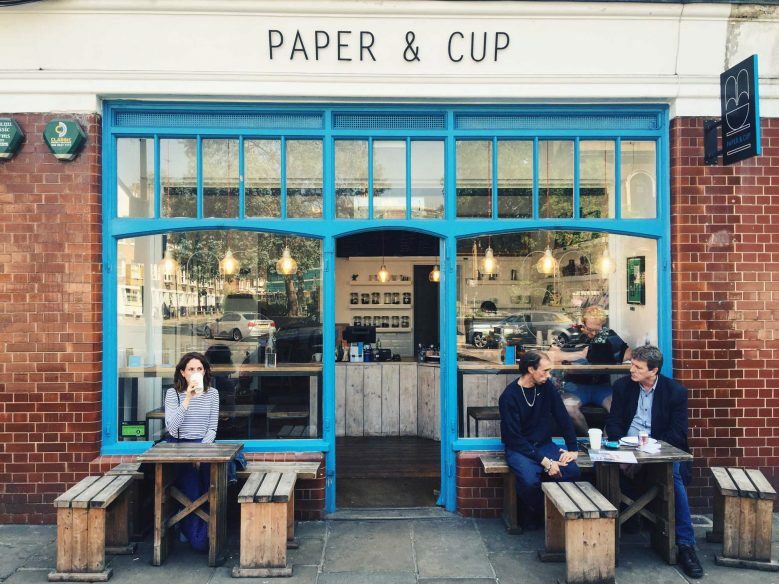 London’s shopfronts rival its houses for pretty Instagram shots. 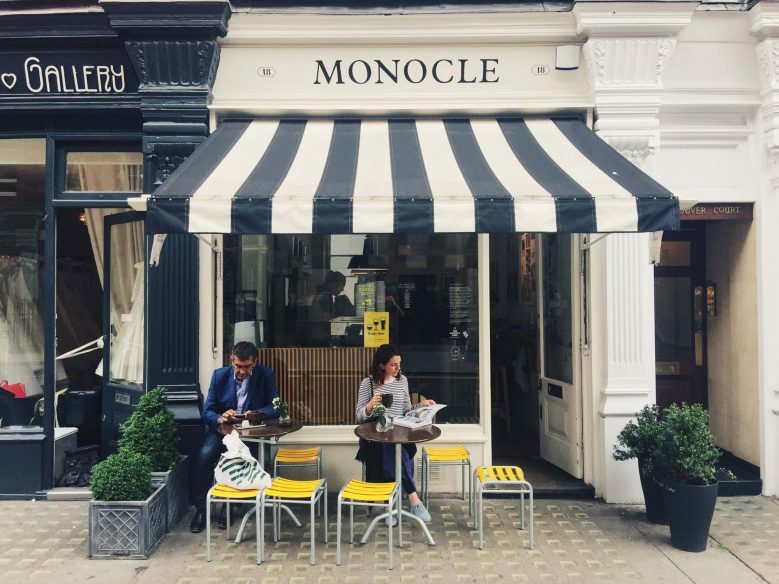 Some of my favourites are Liberty near Oxford Circus, Paper+Cup in Shoreditch, The Biscuiteers in Notting Hill, and the Monocle Cafe in Marylebone. But if you wander around any area of the city, you’re bound to find an interesting shopfront. One of my favourite things about London is the amount of green space the city holds. From the huge royal parks to local church gardens, there are so many beautiful spaces. 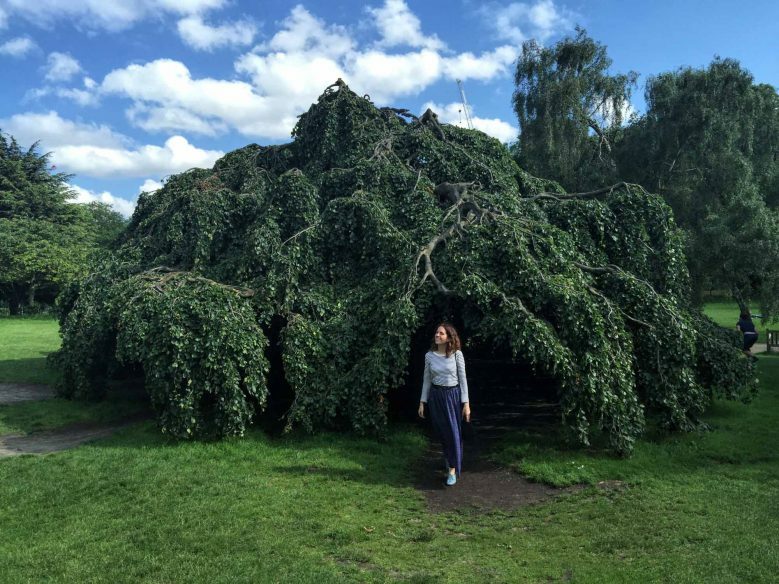 I particularly love Richmond Park and Hampstead Heath, but one of the most Instagrammed options in Hyde Park. Capture the tree-lined avenues, flower garden, ponds, and even the swans. It’s lovely all year round. Finally, what’s a list of Instagram shots without a food pic? There are tons of pretty plates in the city, but one of my favourites is Bourne and Hollingsworth Buildings in Clerkenwell. 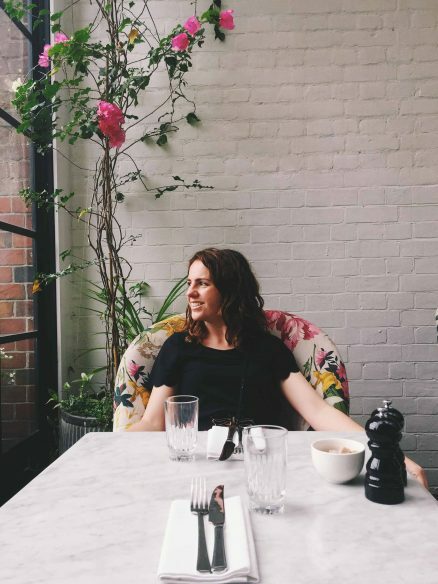 Not only is the food picture perfect, but the restaurant itself is gorgeous, decorated in pretty patterns and charming, mismatched furniture. It’s especially good for brunch. What other places would you add to the list? 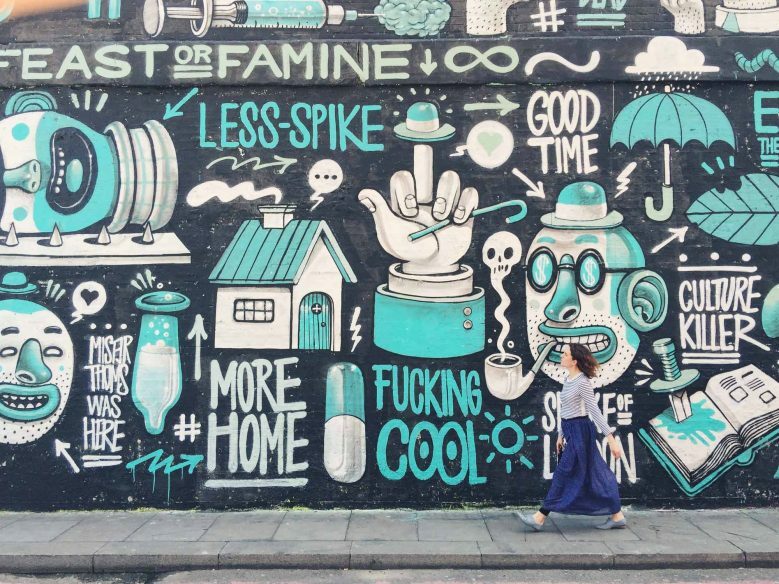 I’ve written a guide to the best hipster hotels in London. 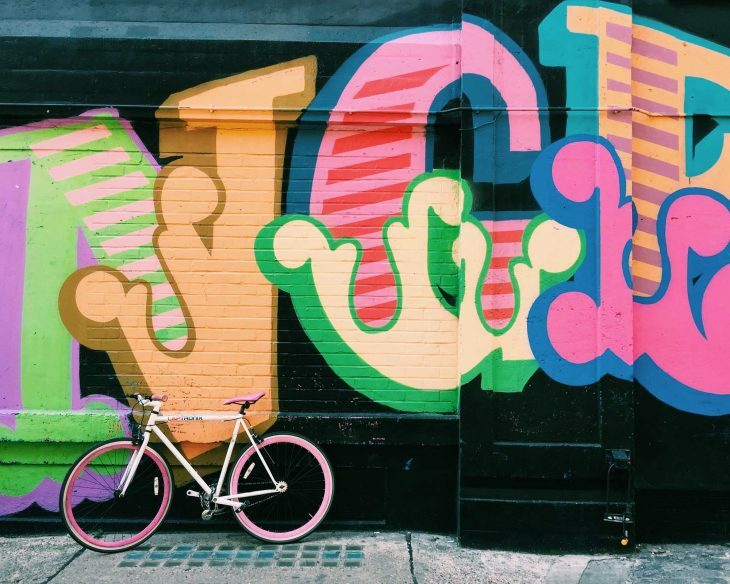 My favourites are: Ace; The Hoxton; Locke Living; the Qbic hotel; The Zetter Townhouse and Artist Residence. And don’t forget your travel insurance! We recommend World Nomads or True Traveller who both offer reliable, comprehensive cover, including medical, evacuation, baggage and a range of adventure sports and activities. You can buy both True Traveller and World Nomads insurance even when you’ve left home, which is unusual for travel insurance companies. London has bunches of green places and peaceful green parks which can also be attractive specially for travelers to visit. 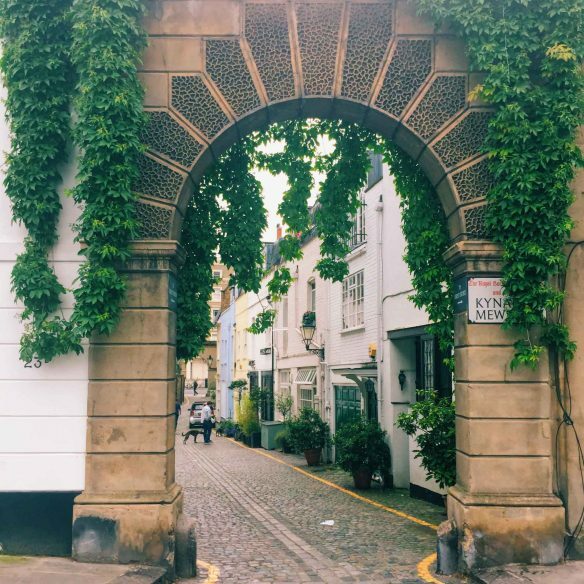 Tower Bridge:) Hampstead streets …. 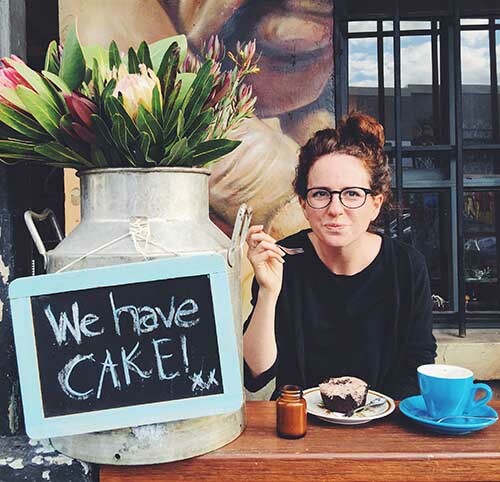 Absolutely love this post and your blog! Such great pics and I cant wait to try out some of these places myself. Can’t wait to check out your Instagram profile!